You want to have a landline phone in your home or in your office, but choosing the best home phone/landline service can be a knotty undertaking. You’ll need to determine local availability and the right fit in cost and delivery method. Then you may have numerous providers, plans and deals to compare.The distinction between these is easy to spot but is oftentimes dismissed by unknowing and eager users that just want to have home phone connection available as soon as possible. 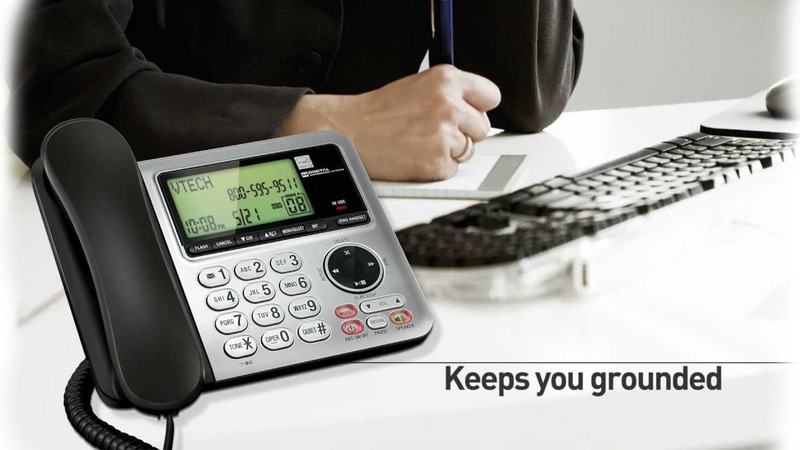 Home phones are great to have if you own a small business or want a reliable means of communication for personal use. There are a lot of different companies who claim to offer super-fast home phone services at affordable prices however the actual product often isn’t like anything you’ve seen on television. One company that delivers on its marketing promises is CenturyLink Home Phone, CenturyLink Home offers industry leading landline phone services for commercial & residential property owners. With CenturyLink Home Phone services, you get advanced features that give you the freedom to experience communication how you want. CenturyLink Home Phone gives you access to features such as 3-way calling, call waiting, caller ID, Last Call Return, and more. These are features that other home phone service providers charge extra for, with CenturyLink you get these benefits as a standard accommodation. CenturyLink allows you to keep your existing phone number so you don’t have to worry about losing contact with the ones who matter most to you. CenturyLink Home Phone also gives you the ability to travel with your line so you can stay connected on the go. A strong protocol backing the CenturyLink Home Phone system gives you a stable connection that provides crystal clear calls no matter where you are. You can customize the ringtone for saved contacts so that you can know exactly who’s calling you at all times. You get an organized voicemail inbox that keeps you updated on any called that you may have missed. CenturyLink Home Phone simply provides the best home phone service at the best price hands down. When compared to competitors, CenturyLink provides the most transparent service at the best price. If you are interested in getting CenturyLink Home Phone for your house, go online and visit their website to check for service availability in your area. Choosing a landline phone can be a difficult task even though it seems like an easy one, but in reality it is not. There are so many brands out there that claim to provide the best services but once you get them you regret your decision. This is where Frontier home telephone services come in. Frontier is the name you can bank upon and is one of the frontrunners in the field of landline phone services for home as well as office use. Frontier has built a name for itself in the past several years of operation as one of the best service providers. By choosing Frontier home telephone services you will have the finest with you. There wouldn’t be an issue with anything and you will be assured of top notch quality and after sales services when you opt for Frontier. Not only this, you can choose from some of the best plans that suit your budget and can change them whenever you wish to. With Frontier by your side you can be assured that you won’t be facing any issues such as call dropping etc. and if any issues arise, a dedicated and highly trained team will be at your doorstep in no time to solve all sorts of issues. With immediate response and installation, Frontier is the best you can get. Technology has allowed home phone services to evolve over the last decade or so. While mobile phones are portable and convenient to use, making phone calls with them are quite expensive. But with AT&T’s sophisticated home telephone services, you can make extended calls at reduced rates. AT&T provides the most affordable plans, popular phone features and clear-sounding calls, making it all the more convenient and easier to connect with family and friends over long distances. This is precisely why the company has been the most reliable home phone service provider for more than 100 years. Unlike mobile phones, you need not worry about credit limit because AT&T offers limitless calling to your friends and loved ones no matter where they might be on earth. The best part is that you can make these calls at a fraction of what you would usually pay for on your mobile phone. AT&T guarantees clear and smooth voice quality whether you’re making local or international calls. AT&T’s reliabilityis backed only by its excellent services because they are 100% stable, offer full coverage, block out suspicious callers and a variety of different settings for their customers. With AT&T you can take your phone and connect it from anywhere around the world. In ancient times, home phone used to be an object that could only be put into use occasionally to communicate with friends and relatives. However, with the advancements in technology, your home phone can be connected to all the mobile devices in the house and subsequently could serve as a secure yet cost-effective base that efficiently enables you to communicate with anyoneat any time. This has been made possible through Xfinity home telephone service. With the Xfinity home telephone, you are bound to save your time and money as you can talk and text without limitations. In this, the Xfinity Connect App will come in handy. It enables you to use up to 4 virtual numbers to text or call over 3G, 4G and even WI-FI. Additionally, you are able to make and receive calls(including text messages) when traveling internationally. This means that you can communicate with the ones you care on virtual basis anywhere across the globe. There is also a feature that allows users to know who is calling them from any device that has been connected. This includes the TV, tablet or even phone. This caller ID feature enables you to decide whether the call is important or not. Moreover, Xfinity home telephone service will enable you to easily forward home phone calls. Through this call forwarding feature, users will never miss any important call irrespective of their location. The unique thing is that the call forwarding feature can be enabled up to 4 devices. The Comcast Xfinity is dedicated to ensuring that everyone gets the best home phone service. That is the reason they have rolled different plans to suit different individuals. For instance, there is the Xfinity voice unlimited and the Xfinity Voice unlimited saver which only have slight difference but they are meant to give you the best experience. Be sure to get the services of this company in your city. Whether you are trying to save extra cell phone minutes, or you don’t want to shell out a ton of money for a family cell phone plan, Telephone service from CenturyLink is a great option. Every CenturyLink Phone package comes with unlimited local calling, and Unlimited Nationwide calling is just a few dollars more per month. Comcast phone service is a circuit-switched telephone service that delivers local, domestic long distance and international services.Get more features for less with Xfinity Voice, like international calling that makes you talk as much as you want to friends and family. Xfinity Voice is a reliable home phone service offered by Comcast Corporation. Xfinity home phone is the future of landline phone service, Xfinity Voice offers incredible calling features that enable users to connect with friends and family around the world. Xfinity Voice comes with such calling features that satisfy all the communication needs of customers. Besides, it is also a preferred mode of communication during emergencies for many users, due to its enhanced 911 support feature. CenturyLink Home Phone is a reliable home phone service provided to residential customers. Home is a premier service offered by CenturyLink that enables voice calling across both domestic and select international regions. With crystal clear reception and transmission of voice calls, CenturyLink home phone is highly preferred for use in homes. Xfinity Business Voice Service is an Internet Protocol (IP)-enabled communications service offering real-time, multidirectional voice functionality.Comcast offers the best in triple play deals. The home phone service with Xfinity Voice allows you to bundle your phone with internet and TV, and enjoy big savings on your monthly bills.